The Von River glistening under cloud on Mt Nicholas Station. Lake Wakatipu with Pigeon and Pig Island above. 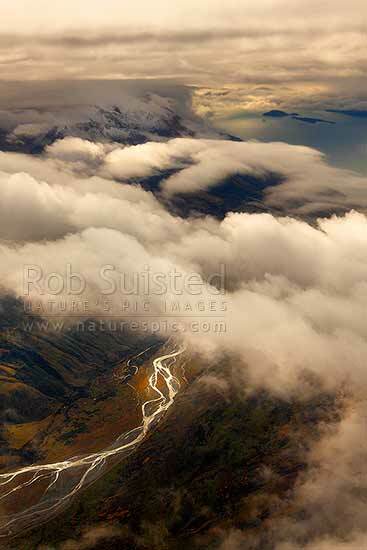 Moody aerial, Queenstown, Queenstown Lakes District, Otago Region, New Zealand (NZ), stock photo.